My wife and I have been roasting lambs traditionally beside a log fire since our wedding in 1998. Since then we have been providing spit roast outside catering hire in Hampshire. I have learnt this skill from my father-in-law, who was taught by his father many years ago. In those times, the spit was still being turned by a person continuously pulling on a chain. 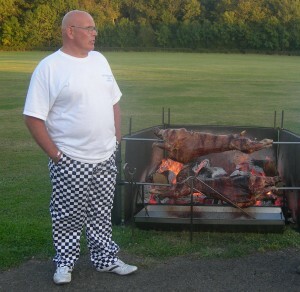 We provide spit roast outside catering hire in Hampshire and the surrounding area. We cover a large part of the south of England including Kent, Sussex, Surrey, Hampshire, Berkshire, Wiltshire, Dorset & Somerset, but will always consider other areas. 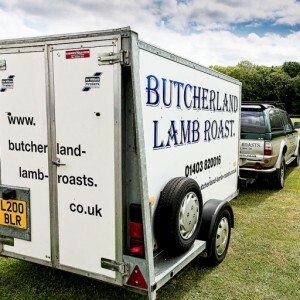 In the past we have travelled to Barnstaple in north Devon, London and the home counties and also been to Coventry to cater for a lamb spit roast event.